Elevate your fandom with this awesome Star Wars Rebel Squadron Pilot Laptop Backpack. 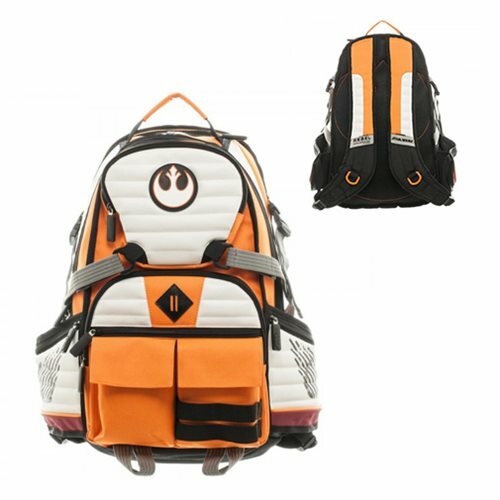 With a design inspired by the brave X-Wing squadrons of the Rebel Alliance, this backpack is perfect for fans of the Star Wars franchise. This backpack has a laptop compartment and plenty of space for you to transport vital intel such as the Death Star's blueprints. Ages 14 and up.